The Pearls for Primary Care lecture series aims to equip primary care providers with practical tools, knowledge and skills to identify and treat patients who are in need of mental health care. All members of the primary care team and other community partners are invited to attend upcoming lectures. Lectures take place from 7-8 a.m. at the Postma Center on Pine Rest’s main campus. Breakfast, CME’s and CEU’s are provided. Click on the Pearls for Primary Care lecture titles below to register. Current research shows that the stress levels of women with infertility are equivalent to women with cancer, AIDS or heart disease. Supporting patients experiencing infertility, including those undergoing treatment can be challenging. 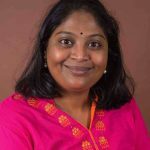 Reproductive Psychiatrist Dr. Nagalla will discuss biological and psychological aspects of infertility and recommendations about pharmacological and nonpharmacological management of distress in these patients. The world of mental health is constantly evolving. Many professionals find it challenging to stay up to speed about what resources are available for their patients and how to connect patients to the care that they need. 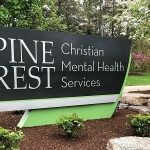 This talk offers the opportunity to hear from a variety of experts from within Pine Rest Christian Mental Health Services about their area of expertise, the innovative programs where they work, and how to connect patients to the help that they need. Due to the Pine Rest specific nature of this event, CME’s and CEU’s will not be available. Please click on this link for a full list of upcoming lectures, conferences and workshops. Recordings of past Pearls for Primary Care lectures are available. To request access to one or more videos, please contact the referral relations team at referralrelations@pinerest.org. Below are topics that were covered.